Or, get it for 248000 Kobo Super Points! 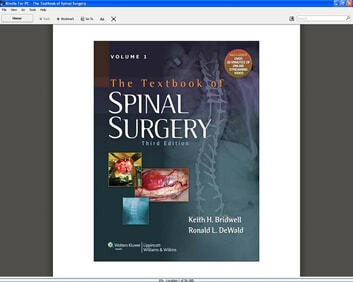 Recognized as one of the leading references on the spine, this comprehensive two-volume text brings together experts from around the world to discuss the full scope of spinal surgery. This edition has many new contributors, including both neurosurgeons and orthopaedic surgeons, and presents a broad survey of all aspects of spinal surgery, including degenerative disorders, deformities, tumors, fractures, infections, and more. Chapters describe current surgical techniques in detail and discuss indications, preoperative and postoperative care, and possible complications. More than 3,500 illustrations complement the text, and bulleted points, tables, and algorithms are used extensively throughout.